Nintendo is investigating ways to get newspaper and magazine articles on the 3DS. 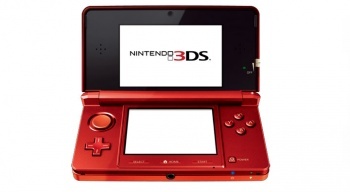 Nintendo is looking into using the 3DS as an e-reader, according to president Satoru Iwata. The 3DS can receive data whenever the power is switched on, including when the device is in sleep mode with the lid closed. Iwata wants the 3DS to automatically download content whenever it finds a wi-fi connection it can connect to, without the user having to do a thing. The screens on the 3DS aren't amazing, and it's not going to be a replacement for a dedicated e-reader, but as a little extra functionality it's a pretty cool idea. The real challenge for Nintendo will be working out deals with newspaper and magazine publishers for content, deals which will probably vary from country to country. Even if this does eventually become a feature on the 3DS, it might be some time before it is available worldwide. To use another e-reader as an example, the Kindle has only very recently become available in the Canada, despite being available in the US for years.